The Greater Montreal Real Estate Board says the region set a November record for condominium sales. The Greater Montreal Real Estate Board says the region set a November record for condominium sales, which helped fuel a 12 per cent increase in overall residential transactions compared with the same month last year. The number of condo sales across the region surged 23 per cent from last year to 1,137 in the month as the suburbs north and south of the Island of Montreal rose by 53 per cent and 33 per cent respectively. 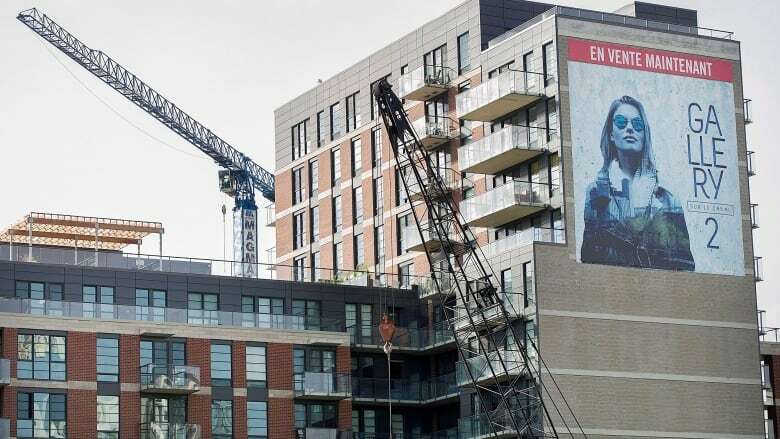 Real estate board president Mathieu Cousineau says the oversupply of condos two years ago has now been completely absorbed and there is a seller's market in some Montreal neighbourhoods. Sales of single-family homes in November were 1,807 (eight per cent higher than last year) while plexes with two to five units were up five per cent to 402. With 3,348 residential sales concluded in the month, it was the most active November in eight years. Paul Cardinal of the Quebec Federation of Real Estate Boards has attributed monthly housing gains this year to strong job creation, consumer confidence, low unemployment and foreign migration. With consumer confidence reaching a 10-year high, he has said people are viewing it as a good time to make a major purchase like a house. November's growth was led by communities on the south shore of Montreal, which was up 19 per cent, and 13 per cent more sales on the Island of Montreal. The average sales price in Greater Montreal increased six per cent to $387,254 in November. On the Island of Montreal, the average sales price was $496,103, up five per cent from $471,380 a year ago.